Michael Krepon had no idea that his guest appearance at UC Santa Barbara would be so timely. A co-founder of the Stimson Center, one of Washington’s top think tanks, Krepon was invited to campus by Neil Narang to speak to his class about nuclear security in South Asia. Just two weeks earlier, India and Pakistan, both of whom possess large stockpiles of nuclear weapons, edged closer toward the brink of war.For the 20 students in Narang’s “Nuclear Weapons and International Security” course, Krepon’s talk offered an important real-world glimpse into a life-and-death topic that, paradoxically, has been fading from the public’s imagination and policy priorities. 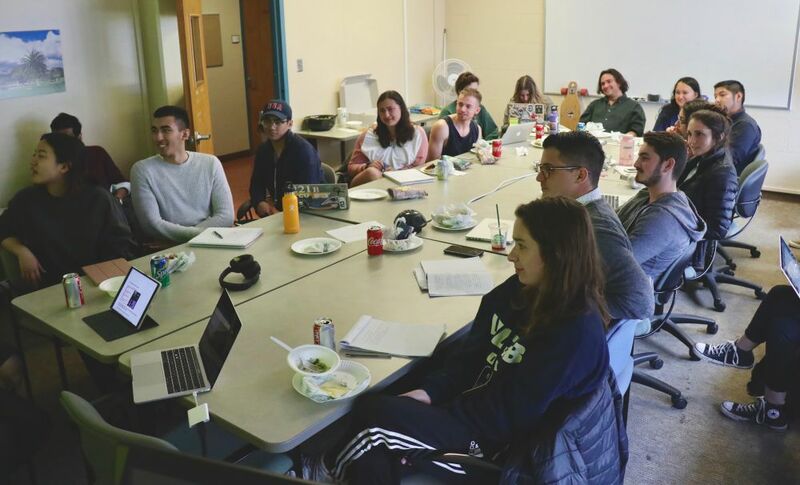 A rising associate professor of political science who specializes in global security issues, Narang saw the class as a unique opportunity to give a select group of high-achieving fourth-year undergraduates the chance to learn directly from some leading experts in nuclear security and strategy.